President George W. Bush may be out of the Oval Office, but there can be no doubt that his cabinet’s legacy of secret rule-bending and war-hungry machinations lives on. This brilliantly argued and wonderfully written collection by twenty-two of the best political analysts in the US analyzes the extraordinary and unprecedented threat the Bush White House and its allies presented to civil liberties, civil rights, the Constitution, international law, and the future of the planet. Impeach the President unearths the stories behind election fraud in 2000 and 2004, the overt lies used to justify pre-emptive war on Iraq, the extensive, ongoing commission of war crimes and torture, the tragic failures in the lead-up to and aftermath of Hurricane Katrina, and lesser-known but equally alarming offences of propaganda and disinformation, illegal spying, environmental destruction, and the violation of the separation of church and state. 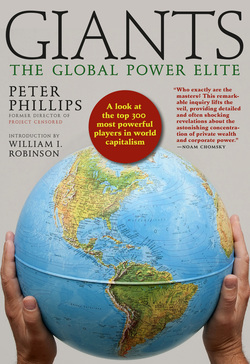 Loo and Phillips chillingly reveal the full threat behind the radical right-wing force held control of the world’s most powerful office for a full eight years. The collection includes a striking introduction by Howard Zinn and contributions from Dennis Loo, Peter Phillips, Judith Volkart, Dahr Jamail, Jeremy Brecher, Jill Cutler, Brendan Smith, Larry Everest, Greg Palast, Nancy Snow, Barbara Bowley, Mark Crispin Miller, Kevin Wehr, Richard Heinberg, Lyn Duff, Dennis Bernstein, Bridget Thornton, Lew Brown, Andrew Sloan, Cynthia Boaz, and Michael Nagler. 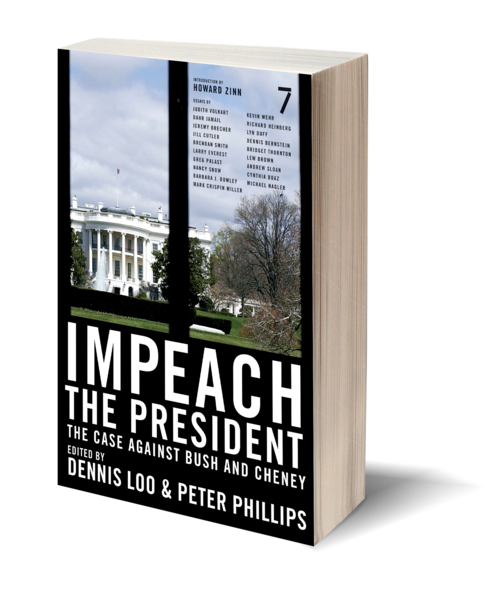 Impeach the President stands out from other books on impeachment in that it also explains why the Bush White House is doing what it is doing and why it is getting away with it. The book issues a clarion call for a popular movement even more powerful than the 1960s' antiwar movement.